restaurants plus a large function room. 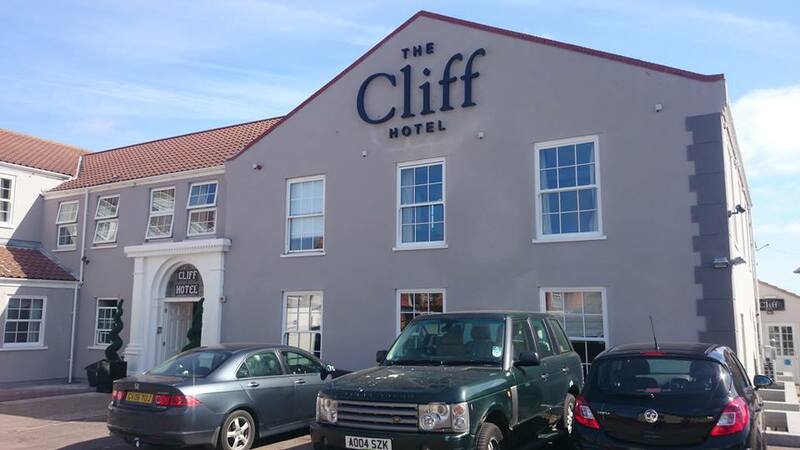 The Cliff Hotel has undergone a vast renovation in recent years and is pristine and modern whilst also leaving a sympathetic yearning towards yesteryear. 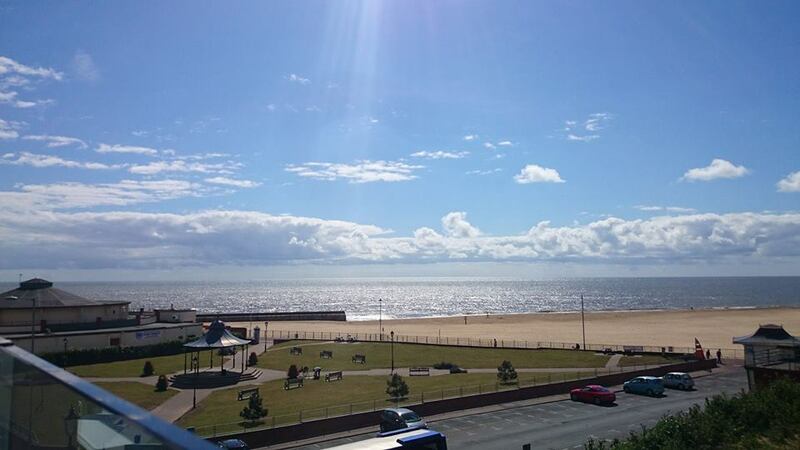 The hotel boasts a spacious and bright garden terrace which overlooks Gorleston's stunning beach. 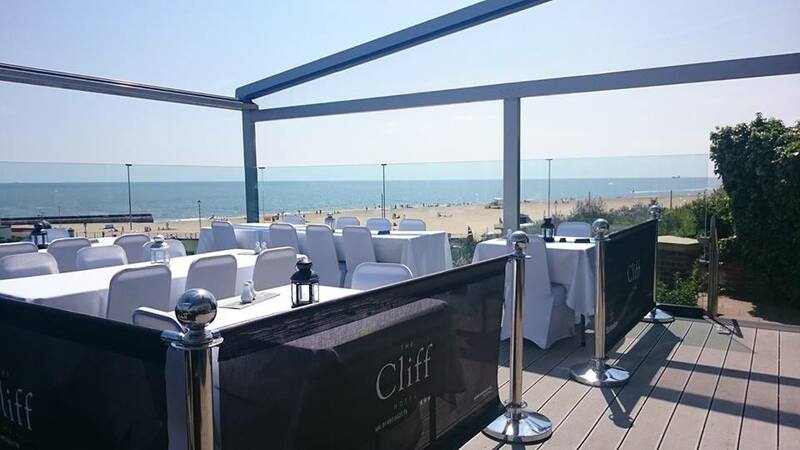 A lovely place to enjoy food, drinks and good company at any time of the year as The Cliff Hotel has invested in awnings and terraced heaters for your comfort, making this an all year round amenity. There is also a small play area for young children to keep them occupied whilst the adults relax. 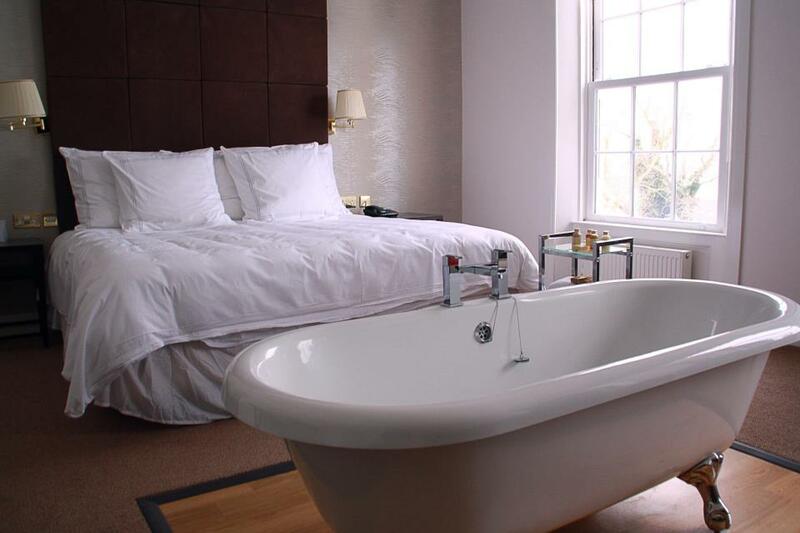 The hotel itself has luxurious rooms, comfortable and stylish which are available to book all year round. 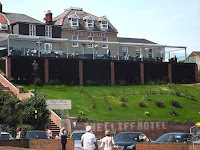 Food at the Cliff Hotel is simply delicious, from their bar menu, Sunday carvery, restaurant menu and (in my opinion) best of all their High Tea Experience. Prices start from £14 per person or £17 per person to include a glass of bubbly (and why not!) Chris treated me as part of our 10th Wedding Anniversary and we were fortunate to have the sun shining on us to. Upon arrival we were taken through to the Garden Terraced and into the reserved seating section where the tables and chairs were adorned in white linen. Once seated the waiter took our drinks order (we ordered these in addition to our High Tea) and we were served at the table. After we had had a chance to sip our drinks and enjoy the breathtaking scenery the waiter returned with our pot of tea and glasses of bubbly, returning shortly after with our sumptuous platter of sandwiches, scones and cakes. Everything is baked and prepared fresh of the premises and wonderfully presented of white platters. Moving up the platter we found freshly baked scones and cheese tartlets, although these tartlets were small they were one of the most delicious savoury pastries I have tasted! The scones themselves were full of plump raisins and served with Devon clotted cream and Tiptree jam in miniature jars. Plus a dish of crisps. The uppermost layer on the platter was the fruit flans and macaroons, plus a couple of small dessert sweets. There were two different flans so Chris and I had half of them both and by then I had eaten so much I was fit to burst! I can honestly say this was one of the most delicious High Teas I have ever tried, enhanced by the stunning location and idyllic views, I cannot wait for another opportunity to go again. 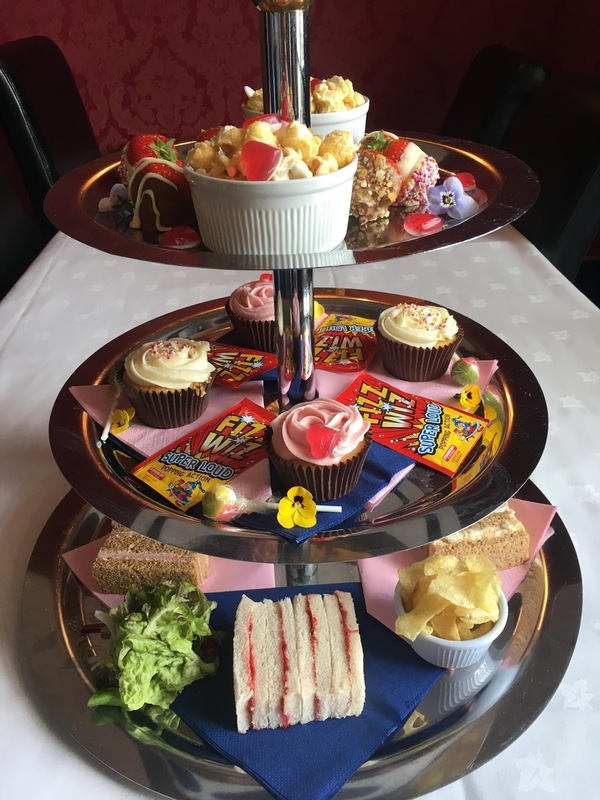 The Cliff Hotel also have Afternoon Tea for those with a smaller appetite and gift vouchers are available which we ended up getting for our parents as presents so that they too can go along and enjoy this exquisite delight. This year The Cliff Hotel launched their Children's High Tea. Priced at £7 per child and this also included a soft drink. Children get to enjoy savoy sandwiches, cupcakes, popcorn, lollipops and popping candy. And why not book something a bit special for a Baby Shower? • Served between 12-6pm daily. Viewable from the terraced is Gorleston's Band Stand and if you are lucky enough your may hear the sounds of a traditional brass band as you enjoy your food. After your visit to The Cliff Hotel you can take a stroll down the steps from the Garden Terraced down to the prom and enjoy more of Gorleston's beautiful seafront and sandy beaches. 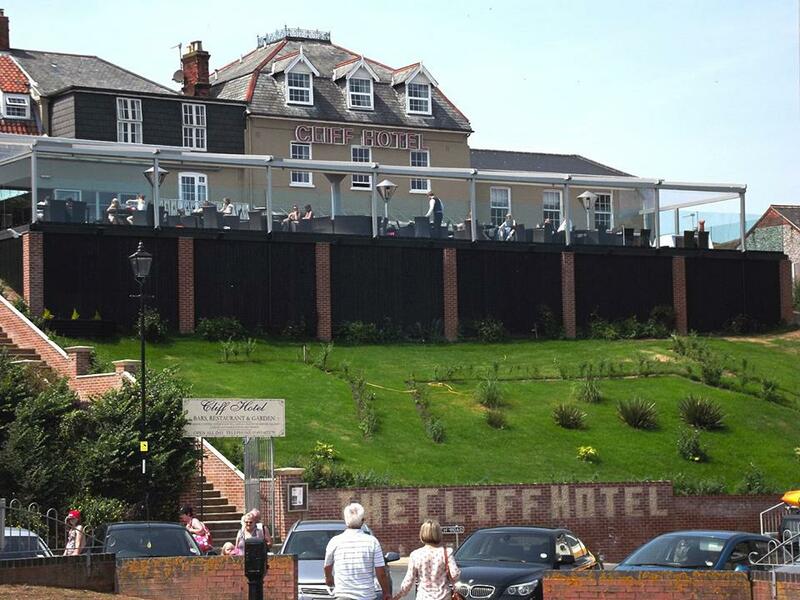 For more information about The Cliff Hotel and what it has to offer then follow the links to visit their website or follow them on Facebook but whatever you do make sure you pay them a visit, I guarantee you'll love it.